Most floral bouquets last 4-7 days or longer, keep flowers looking beautiful as long as possible by taking some extra care. The Society of American Florists recommends these tips for the longest lasting most vibrant looking flowers. 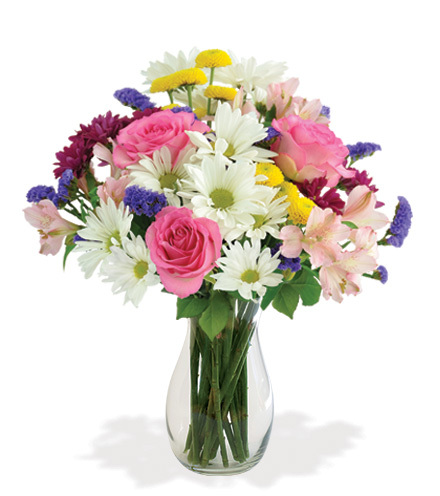 Most floral bouquets last 4-7 days or longer. Keep flowers looking beautiful as long as possible by taking some extra care. The Society of American Florists recommends these tips for the longest lasting most vibrant looking flowers. Keep the vase filled (or floral foam soaked) with water containing a flower food provided by the florist. Flower foods make flowers last longer but it is important to follow the mixing directions on the flower food packet. Most packets are to be mixed with either a pint or a quart of water. Flower foods should not be diluted with more water than is specified on the packet. If the flower food solution becomes cloudy, replace it entirely with properly mixed flower food solution. If possible, re-cut stems by removing one to two inches with a sharp knife. Be sure to use a sharp knife or clippers that will not crush the stems. Immediately place the stems into solution. Keep flowers in a cool spot (65 to 72 degrees Fahrenheit), away from direct sunlight, heating or cooling vents, directly under ceiling fans, or on top of televisions or radiators. (Appliances like televisions give off heat, which causes flowers to dehydrate.) Most flowers will last longer under cool conditions. 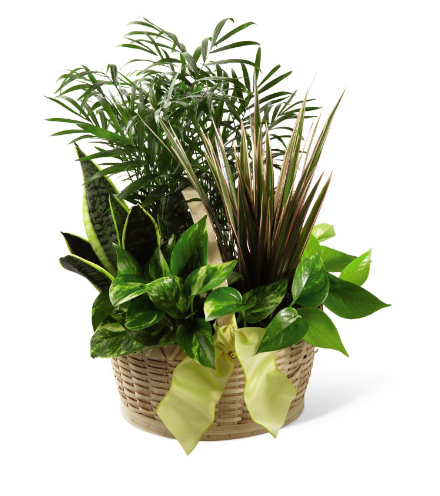 Long known as a wonderful way to spruce up any office or home décor, living plants are also scientifically proven to clean the air in their surrounding environment! Be sure to follow the specific care instructions for each type of plant. Additionally, these tips provided by the Society of American Florists will make sure any plant thrives and looks its best. Keep plants in medium-light locations and out of direct sunlight. Natural light is best, but some plants can also thrive in office fluorescent light. Most flowering potted plants should be placed in areas with the most light in order to maintain good flower color and promote the maximum number of flowers to open. Foliage plants will do well under lower light levels and can be placed in areas providing reduced light. Plant soil should be kept moist at all times. Plants should not be allowed to dry out or wilt. However, be careful to avoid overwatering - do not allow plants to stand in water. Avoid wetting plant leaves. Do not expose the plant to excessive heat or cold. Plants should be kept in a cool spot (between 65 to 72 degrees Fahrenheit) for best performance. They should be kept away from direct sunlight, heating or cooling vents, directly under ceiling fans, or on top of televisions or radiators.